The Bridge Hospice team is trained to manage all symptoms specially related to end stage illnesses, including pain, wound, and respiratory management, while attending to the patient’s nutritional and safety concerns as well. With an interdisciplinary team approach. Bridge Hospice’s team cares for the patient as if they were part of our family with total respect for all physical, psychosocial, and spiritual needs. This type of care may be provided in the patient’s home or a long-term-care facility. It is not applicable for patients in an in-patient hospice unit, a hospital, or skilled nursing facility. What types of symptoms require continuous care? At Bridge Hospice, we understand the amount of stress end of life can be on our families. We have built a specialized team to manage these types of situations. Our team will make you and your loved ones feel comforted in the absolute most difficult of times. Our team is comprised of very skilled nurses with extensive experience in end of life care, when the time comes – we will be right there by your side every step of the way. Continuum of Care Every Step of the Way. Our goal is to provide you and your family with a program of care that is centered around your needs and concerns, to respect all patients’ individuality, dignity, values, privacy and unique response to their illness, allowing you to live with dignity, free of pain and other distressing symptoms. Our decision-making is guided by evidence and expertise. 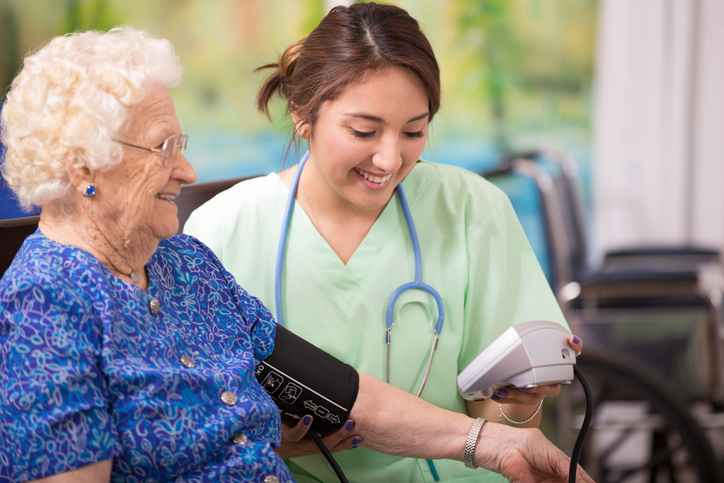 The Bridge Program provides continuity of care while you, your family and caregiver are being educated by our team regarding hospice care, home health care, private duty nursing, and companion care. Our highly trained staff will share the benefits of all the services we can offer. The Program focuses on easing pain and other discomfort associated with serious illness. The Bridge Program is designed to reduce stress by addressing your emotional, social and spiritual needs. Our goal is to make sure you and your family maintains a better quality of life. Who will benefit from Bridge Program? Those who need additional care and support in the home. Those who require a 24 hour caregiver and transportation to doctor appointment. Those who have a life limiting illness. Those who are not receiving curative methodology. Those who are open to learning how hospice can benefit the individual, family and caregiver. What can I expect from the Bridge Program? Our multi-disciplinary team will provide clinical, emotional, spiritual and social support while you and your family make an informed decision regarding home health care, home care and hospice care. Our team offers holistic, competent, medically supportive care focused on the whole person-addressing the physical, psychological, spiritual, cultural and social needs that you and your family may have. Our professionals focus particularly on relieving suffering and promoting your quality of life, whether your goal is curative care or comfort care. What hospice care services are provided? A team of skilled healthcare professionals, including your personal physician, are available to help with decisions about treatment or changes in the direction of care. Expertise in pain and symptom management with nursing staff, home health aides, social workers, spiritual advisors and therapists available. Call for a consult at (951) 297-3336, we have a team of Patient Advocates standing by to discuss your options with you over the phone and make a visit to your home if that is what you prefer. In the most difficult of times, Bridge Hospice will be there to support you clinically and emotionally in life’s most sacred moments as we stay true to our mission statement each day.